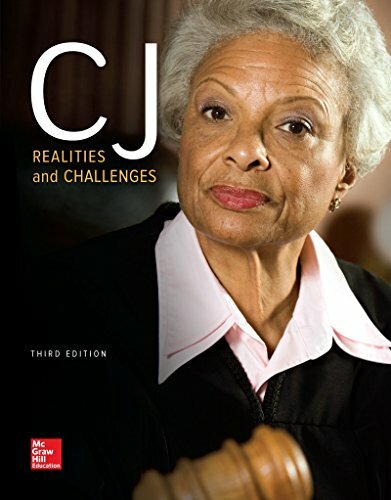 78140943 –CJ:Realities and Challenges empowers students to think critically about the daily realities and challenges of the criminal justice system. Using the text’s framework of Observe–Investigate–Understand, students learn to recognize the myths of the U.S. criminal justice system and gain a greater comprehension of its complexities. The program brings together the insights of an expert author team of practitioners and scholars to present a contemporary and realistic perspective on a vital U.S. institution. With Connect for Criminal Justice, a ground breaking digital learning platform, students study more effectively by using engaging activities to confirm what they know and to learn what they don’t know. The new Connect course includes SmartBook, which encourages readers to apply their knowledge to real world scenarios, building the foundation for successful careers in criminal justice.